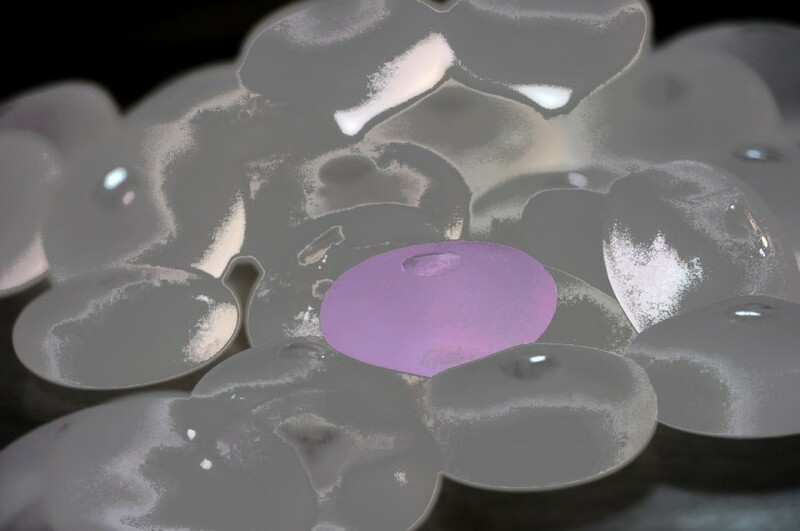 You may have read about the 2012 PIP Silicone Breast Implant Recall on the San Francisco Plastic Surgery Blog. 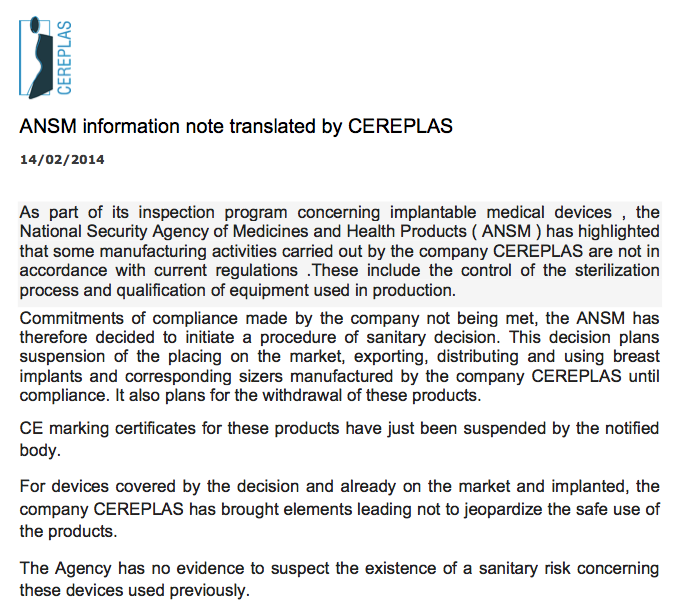 Well, another French Breast Implant Manufacturer made the news last week. Regulators are tightening control after the PIP fiasco. PIP implant’s manufacturer was found to have been playing a shell game with regulators. Unlike the FDA which can show up unannounced to inspect a manufacturing plant, European regulators were required to give 10 days notice. After notification, PIP makers would hide substandard silicone and replace it with the medical grade silicone they were supposed to use. The PIP manufactured implants were substandard and leaked at a rate as high as 10% per year. Neither PIP nor CEREPLAS Silicone Breast Implants have ever been available in the United States. There are currently only three FDA approved Breast Implant manufacturers in the US: Allergan, Sientra and Mentor. They manufacture their Breast Implants in Costa Rica, Brazil and the US respectively, but all plants are subject to the same FDA reviews and inspections, regardless of where in the world they are located. I am a Board Certified Plastic Surgeon and a primary investigator for all three manufacturers for their on-going 10-year post-approval studies. The main reason I became an investigator is to help demonstrate that the Breast Implants I use are of the highest possible quality. It is the only way to be certain that the findings in the premarket studies hold up when Breast Implants are used under “real world” conditions and over longer periods of time. You can find more information about Breast Implants here on the San Francisco Plastic Surgery Blog or by visiting any of my other web sites listed above under “Useful Links,” but there is no substitute for a consultation with a qualified Plastic Surgeon. If you have Breast Implants and are considering Breast Implant Revision, or if you are researching Breast Augmentation for yourself or someone you know, give my Walnut Creek Plastic Surgery office a call at (925) 943-6353, and schedule a consultation geared to your needs. There are many options for Breast Augmentation, and a brief appointment can help focus your research to that which will get you the best results in the easiest and most predictable way.